Several young DC fans were recently treated to a very special screening of Justice League, courtesy of director Zack Snyder. 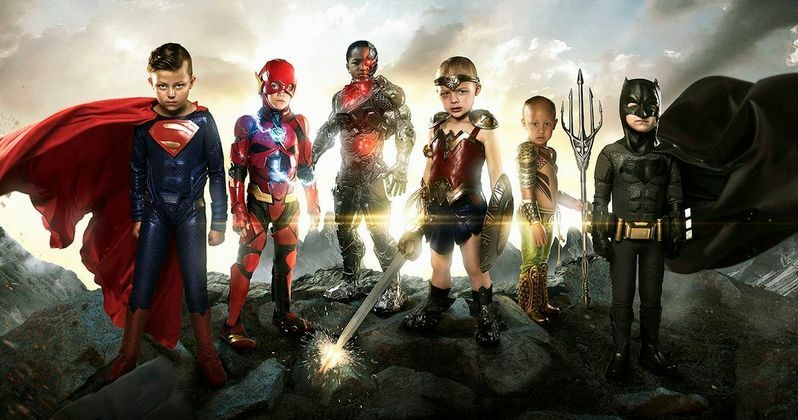 Earlier this year, Utah photographer Josh Rossi photographed six kids battling various diseases as members of the Justice League. The photos went viral and even caught the attention of Zack Snyder. After getting wind of these young fans, Snyder decided to throw them a private screening of Justice League for their friends and family. Four of the six kids were healthy enough to make the screening. The screening took place in Sandy, Utah, complete with a red carpet ceremony. More than 100 people were in attendance to cheer the kids on as they made their way down the carpet. "It's so awesome. These kids deserve it," said Andrew Loftus. Sophie, his 4-year-old daughter, played Wonder Woman in the photoshoot and came dressed in costume for the event. Here's what Loftus had to say about it. "It is just amazing to see all these people supporting Sophie and all the other children who have gone through so much." Sophie was diagnosed with rhabdomyosarcoma, which is a cancer of the soft tissue. She was initially diagnosed earlier this year and, luckily, her family was able to catch it quickly. They had to travel to Seattle for a 24-week treatment period, which is when Josh Rossi reached out to them about the Justice League photoshoot. Sophie's mom, Chelsey Loftus, had this to say. "At first we were skeptical, but then heard that they wanted to show her strengths through this photoshoot. They wanted Sophie to be Wonder Woman and we were on board." Zack Snyder decided to step away from directing Justice League toward the end of production following the death of his daughter, but it's still very much his movie. He's the sole credited director on the project, even though Joss Whedon stepped in to finish the movie. Snyder is deeply connected to the DC universe and, though he hasn't been present much in the marketing, he made sure to help out some of the fans who needed it the most. Say what you will about some of the guy's movies, but this is a class act. Justice League is expected to dominate the box office this weekend, despite less than favorable reviews, with the Rotten Tomatoes score currently sitting at 40 percent. Still, these kids really seemed to enjoy it and it's hard to be cynical when seeing something like this. All of the kids at the screening were also treated to a whole bunch of DC merchandise, as an added bonus. KSL also notes that Sophie is now healthy and in remission. You can check out a photo from the event, as well as the original Justice League photoshoot, for yourself below.